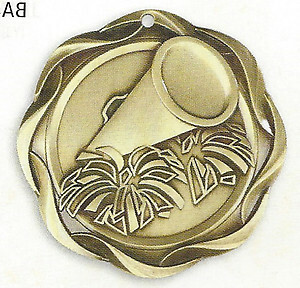 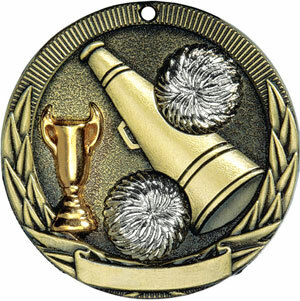 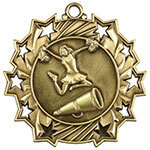 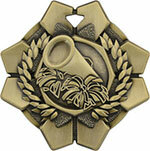 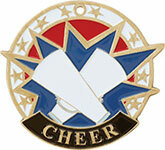 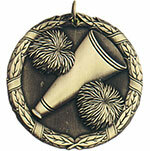 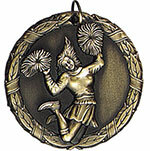 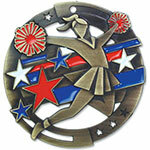 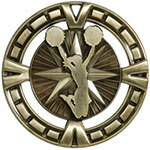 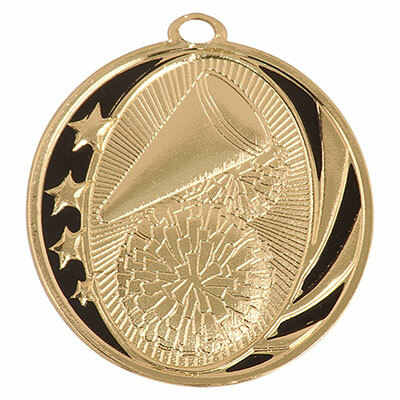 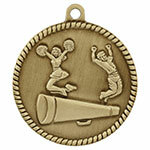 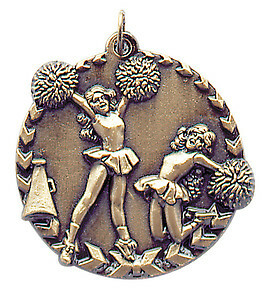 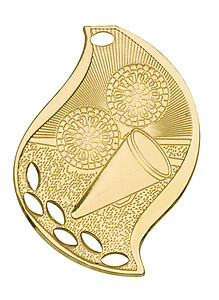 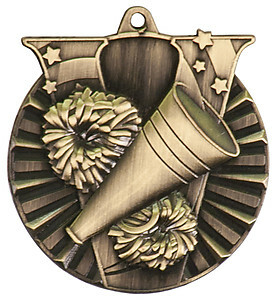 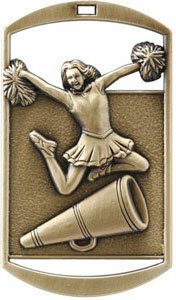 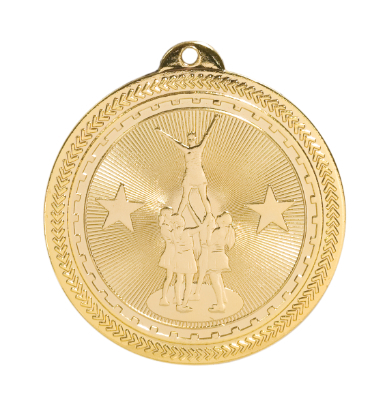 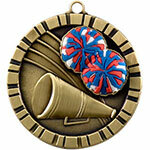 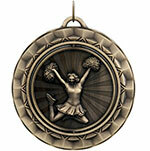 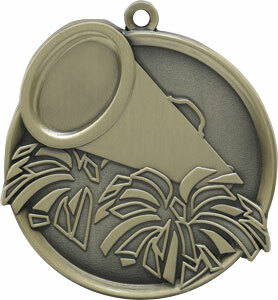 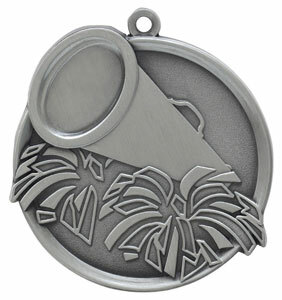 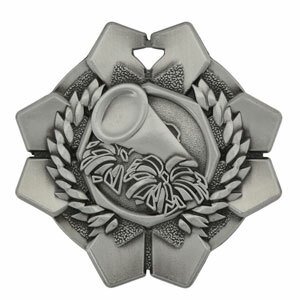 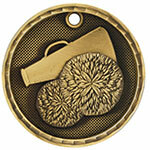 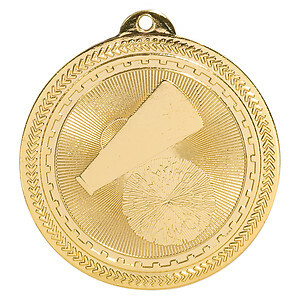 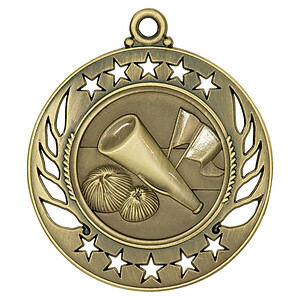 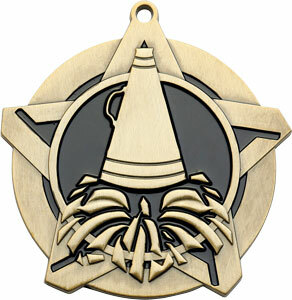 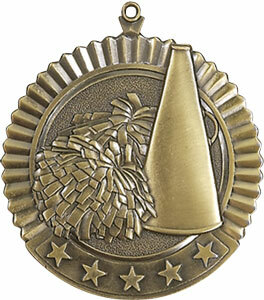 Great selection and great prices on cheerleader medals most are available in gold, silver and bronze color. 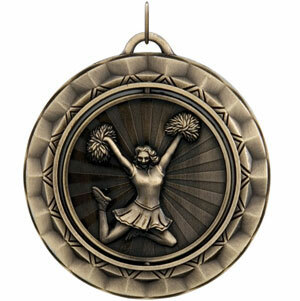 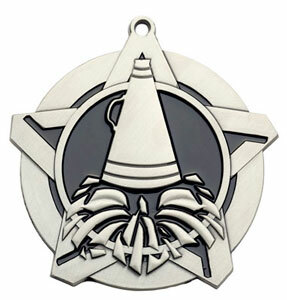 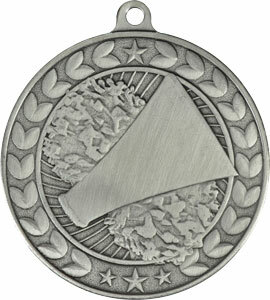 Our cheerleading medals come with a 7/8 by 30-inch neck ribbon; we have an extensive selection of neck ribbon colors. 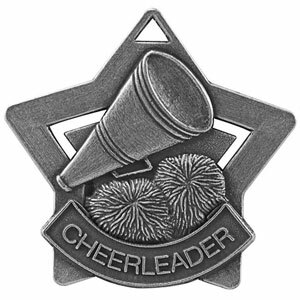 You may have your cheerleader medals engraved; our turn around time is five working days from the day your order has been processed. Rush service is available. 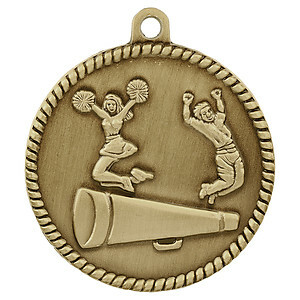 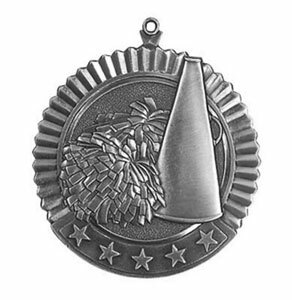 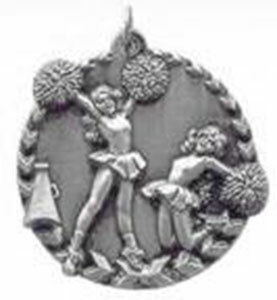 Click on a cheerleading medal below for more information and to make your purchase and begin your hassle free internet cheerleader medal shopping now. 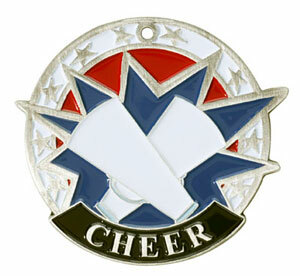 Please visit all our cheerleading pages.